Video Converter programs aren’t solely for professionals, but also for individuals who wish to play a wide variety of video formats across all of their devices. Depending on your purpose, as well as how frequently you wish to convert videos, you may be willing to spend a few bucks for a paid license, or opt for a free alternative. When it comes to choosing a suitable video converter software for Mac or PC, there are quite a few programs to try out. And although the free alternatives are pretty decent at getting your job done, the paid ones usually have an upper hand with more features, higher quality and speed of conversion, more control on output formats and other attributes. Here, we’ve curated a list of the best video converter programs available for Mac and Windows, in both free as well as paid categories. When it comes to paid solutions, Wondershare Video Converter Ultimate offers one of the best feature sets, quality of output and speed of conversion available out there. The powerful module lets you convert between 159+ audio and video formats, without any quality loss. There are also a lot of conversion presets available, which makes it easier to transfer and watch content on a wide variety of devices. The list of supported formats is constantly updated, and even includes support for special formats like 4K UHD, 360 Degree VR videos, 3D videos, HEVC H.265, etc. You can get the full list of supported formats here. Wondershare Video Converter Ultimate also offers one of the highest conversion speeds (up to 30X faster), with the help of APEXTRANS™ technology, so you get the best results at the quickest possible time. The software is not just great at video conversion, it includes a built-in online video downloader, which integrates with major web browsers and supports downloading of videos from over 100 different video streaming sites. To download videos, you can use the Download button integrated into the web browser via the video grabber extension, available for Safari and Firefox, or copy the video URL and click on the “Paste URL” button in the Download tab. A popup appears where you can select the video quality, include subtitles, and more. The video grabber supports downloading videos up to 1440p resolution. Once the video is downloaded, you can cast it to a different device via ChromeCast, AirPlay, DLNA, Roku and more. You can also transfer it to your smartphone over WiFi, convert to a specific format or burn it to a CD/DVD. The third module that you get with Video Converter Ultimate is an intuitive video editor that helps you to tweak and enhance your videos. The editing tools are quite easy to use, and lets you make important enhancements, like trim, merge, crop, rotate, embed subtitle or watermark, etc., in just a few clicks. The software also provides a one-stop solution for all your DVD burning and ripping requirements. Wondershare Video Converter Ultimate lets you convert, backup, edit or burn DVDs, aided by easy-to-use tools. Last, but certainly not the least, Video Converter Ultimate includes a set of essential media & assistant tools that complement its video conversion & editing features. You can Fix Video Metadata, use VR Converter to optimize videos for VR, Cast to TV (Screen casting utility), Screen Recorder, GIF Maker, etc. SmartTVs, Chromecast, DLNA certified devices, etc., are supported for screen casting. Wondershare Video Converter Ultimate is available as a 1 year license ($39.95 for a single Mac or PC), Lifetime Single User License ($59.00 for a single Mac or PC), Lifetime Family License for up to 5 Macs or PCs ($118.00 for Mac, $99.95 for PC) and Custom Business License (for 5+ Macs or PCs). If you want to try out its various features, a free trial is also available. Freemake is still one of the best creators of free software for Windows. Its Video Converter software offers free conversion among a wide variety of video formats, including MP4, AVI, MKV, WMV, MP3, DVD, 3GP, SWF, FLV, HD, MOV, RM, QT, Divx, Xvid, TS, MTS, Fraps, etc. It even supports 4K video conversion, and with pre-created profiles for Apple, Android, Sony PSP, Xbox, Samsung, Nokia, BlackBerry phones, tablets, consoles, etc., you can optimize videos for playback on just about any device. Freemake Video Converter for Windows also allows you to download videos from multiple video and audio streaming websites, rip and burn DVDs and BluRay, or edit videos to cut, merge, rotate and embed subtitles. 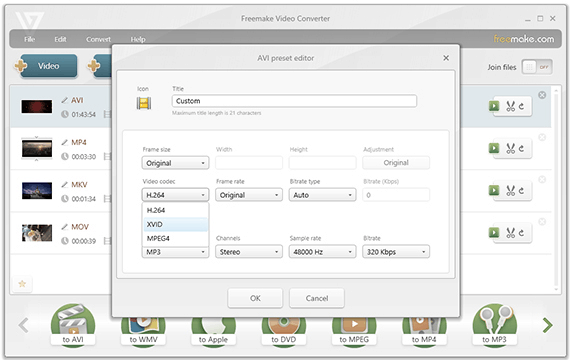 Freemake Video Converter offers full functionality at a limited speed, and includes a Freemake branding. In order to enable faster conversion and auto backup, and remove branding as well as black bars from converted videos, you’d need to purchase the Freemake Gold Pack, which is available for $9.00 / year or $29.00 for unlimited use. Like Wondershare, MacX also provides powerful tools for video conversion. It has over 320+ built-in video codecs and over 50 different audio codecs, in order to support a wide variety of media formats, including the most popular ones like MKV, MP4, AVI, H.264, H.265, FLV, MOV, 3GP, etc. The software offers up to 5X faster conversion speeds, aided by Advanced Intel Quick Sync Video (QSV) hardware acceleration. The conversion algorithm smartly frees up the CPU for performing other tasks, while a good balance is struck between video quality & speed of conversion, thus preserving about 98% of the original quality. Along with the video converter, the software includes a video editor for simple enhancements, including trim, crop, embed subtitle or watermark, etc. You can also create custom slideshows from your photo albums, along with background music. A video downloader is also included, which helps you download videos from 300+ video streaming sites, but it doesn’t integrate with web browsers. Instead, you have to manually enter the video URL inside the application or paste it from the clipboard. The application parses the URL, and if a supported site is found, it allows you download the video in the preferred quality and format. Plus, MacX Video Converter Pro also provides a Screen Capture and Recorder tool that allows you to record events on screen (which is quite useful for video demonstrations) or record using an attached camera (webcam). MacX Video Converter Pro costs $49.95 for a single license, on both Mac and Windows. Smart Converter is a free video conversion tool available for Mac that offers one-click easy conversion among more than 100 different file formats. Its simple interface includes conversion presets for a variety of Apple devices, including iPhone, iPad, Mac, AppleTV, etc. More often, a video can be converted to a different format just by altering the container, the audio component or the video component. Smart Converter converts videos at a faster rate by targeting only the parts of a video that needs to be converted. Once the video is converted, it will automatically import the video to iTunes. There’s also a Pro version of the app available, which introduces support for auto update of metadata information, embedded subtitles, while importing videos to iTunes, along with a few other handy features. 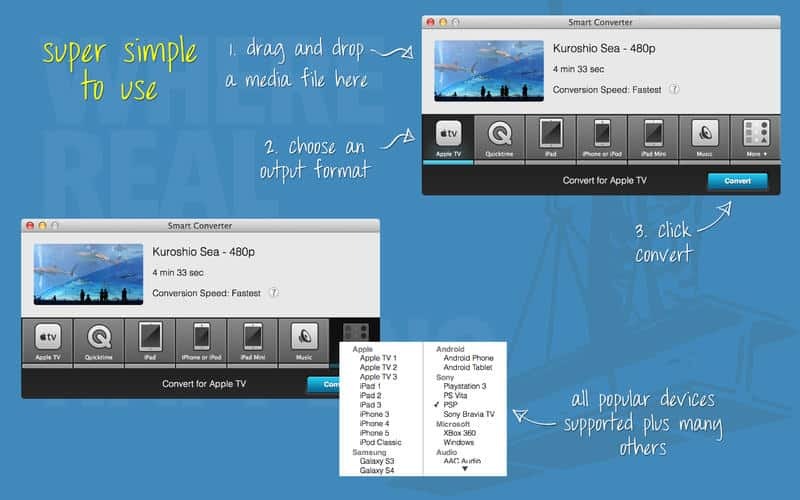 Any Video Converter Free is a stripped down, free version of Any Video Converter Ultimate, with limited features. But still, it fully support for more than a 100 different input formats, and over 160 different output formats. The software uses NViDIA NVENX accelerated encoding to speed up conversion rates. Along with the video converter module, Any Video Converter also includes an online video downloader, a CD/DVD burner, and a video editor for basic editing. The free version of Any Video Converter basically gives you nearly all the features of the paid version, but with comparatively less number of supported video formats and slower rates of conversion. To fully experience all the features of Any Video Converter, you can purchase the premium version of the software for $49.95, which includes a limited-time free trial as well. If you need a more advanced video transcoder, with available presets as well as custom settings for conversion, HandBrake is a good open source alternative. It lets you convert videos between a wide range of formats, rip entire DVDs or BluRays (that doesn’t contain any copy protection), keeping chapters, title information and metadata intact. It also supports a fair number of advanced features, such as embedding subtitles, average bitrate video encoding (to maintain constant quality throughout the videos), CFR & VFR, along with some of the popular video filers commonly used in video conversion: Deinterlacing, Decomb, Denoise, Detelecine, Deblock, Grayscale, Cropping and Scaling, etc. 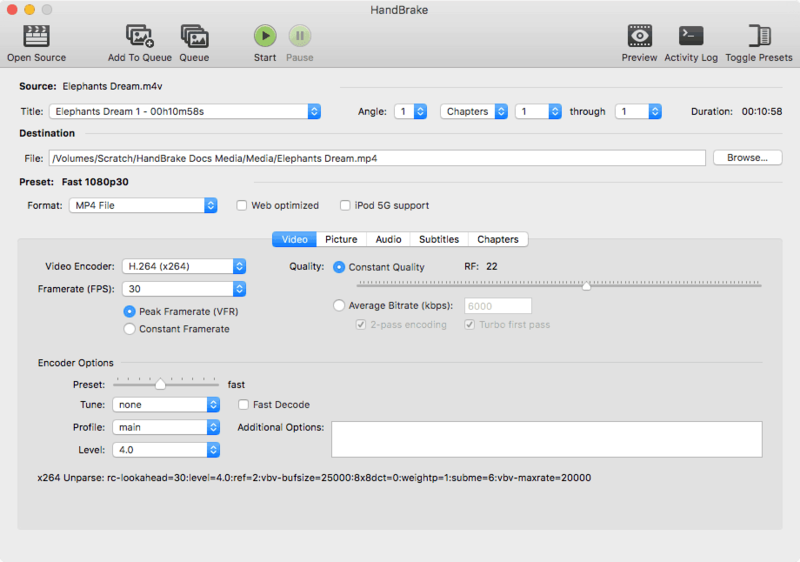 In all, HandBrake is a truly powerful, multi-platform video transcoder. But nowadays, with more number of cyber attacks being committed on a daily basis, users should be careful and wary of using open source software. HandBrake’s official download mirror for Mac was recently compromised with a Trojan variant called “OSX_Proton”, which is capable of logging users’ keystrokes and send them remotely to the attacker via Internet. Being open source made it easier for attackers to rebuild a modified version of the HandBrake app using the Trojan, which was then distributed through the official download channel. If you have downloaded HandBrake between 02 May, 2017 and 06 May, 2017, you have a 50 – 50 chance of infection. Read more about detecting the Trojan and how to remove it if you’re infected. We can conclude that paid solutions offer faster and higher quality conversions compared to the free ones. They also let you customize the conversion output rather than just providing a bunch of presets optimized for multiple devices. Along with video conversion, these programs provide additional utilities, such as video downloader, editor, recorder, or in some cases, even a CD/DVD burning utility. In our tests, Wondershare Video Converter Ultimate yielded slightly better conversion results compared to its competitors. 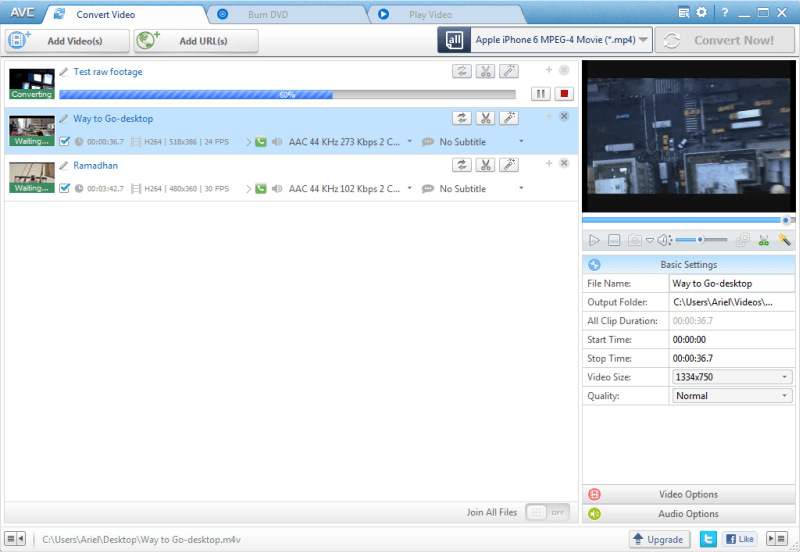 Besides, the video grabber that is included along with the software provides an IDM-like experience on Mac. Although, the lack of a Chrome extension may be a disappointment for some users. We’d recommend you to try out all these programs, and purchase the one that best suits your requirements. As for the free alternatives, you mostly get the basic video conversion features. Available presets make it easier for conversion, but not all the free alternatives would allow you to customize them. Regardless, Smart Video Converter is a decent free alternative which balances between conversion speed and quality. More importantly, it is a safe option, being available on the Mac App Store, which is fairly secure, compared to other sources on the Internet. Filmora – Top video editing software for beginners?